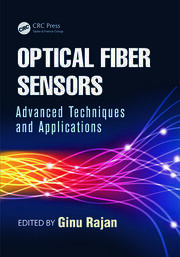 The combination of laser and optoelectronics with optical fiber technology can enhance the seamless activities of fiber-optic communications and fiber-sensor arena. 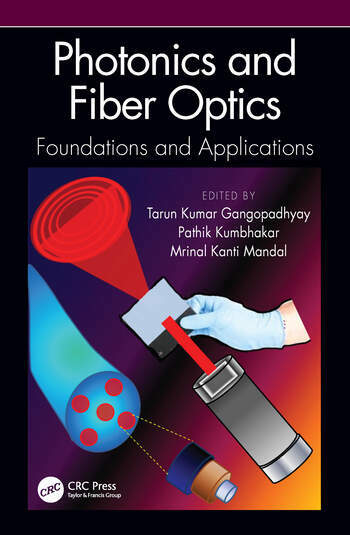 This book discusses foundations of laser technology, non-linear optics, laser and fiber-optic applications in telecommunication and sensing fields including fundamentals and recent developments in photonics technology. 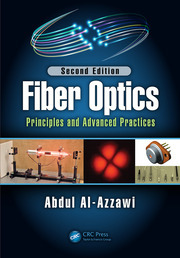 Accumulated chapters cover constituent materials, techniques of measurement of non-linear optical properties of nanomaterials, photonic crystals and pertinent applications in medical, high voltage engineering and, in optical computations and designing logic gates. WDM couplers for 1550, 1310 and 980nm. His current research interests are the development of Bio-medical sensors, Fiber FPI Sensor, chemical sensor using Fiber loop resonator for cavity ring down spectroscopy (FLRDS), chemical sensor using photonic crystal fiber (PCF) and packaging of fiber-optic sensor, etc. He has authored 25 Nos. international refereed journals, three patents, Four Book Chapters, and 35 Nos conference contributions and proceedings at international conferences and meetings. He is a Senior Member of Optical Society of America (No. 951188). He has done some research work in SINTEF, NTNU, Norway, related to FBG sensor for On-line temperature monitoring of high voltage (400KV) overhead transmission lines for dynamic load regulation. Finally the setup has been installed on the Power Grid transmission in India for continuous three years measurement. He has done some research work as Visiting Scientist at CNR-Istituto Nazionale di Ottica Applicata (INO), Naples, Italy, on fiber-loop resonator, cavity ring down spectroscopy and absorption spectra of molecular gas/ liquid species. He has many projects with Foreign Bilateral Collaborations. Recently, he has also done some research work as Visiting Scientist in Kingston University, London and Maribor University, Slovenia. He is also acting as manuscript reviewer in many SCI journals. Prof. Pathik Kumbhakar received the Bachelor in Physics (Hons. ), from Sri Ramakrishna Sarada Vidyamahapitha, Kamarpukur, University of Burdwan, in 1993. He received Master in Physics (M.Sc, Physics) in 1995 and PhD in Science in 2003 both from University of Burdwan, Burdwan, India. He carried out post-doctoral research during Oct 2002-March 2004, as Munbusho Scholar, in the Dept. of Physics, Graduate School of Science, University of Tokyo, Tokyo-113-0033, JAPAN in the Research Laboratory of Prof. Takayoshi Kobayashi. The research Area/Topic: Laser Technology (Ultrafast Nonlinear Optics)/"Characterization of Nonlinear Optical Crystals for the Generation of Tunable Ultrafast Laser Radiation by different Nonlinear Optical Techniques"Dr. Kumbhakar is presently working as the Professor of Dept. of Physics, NIT Durgapur. Also during 2014-2016 and 2006-2008 he has served as the Head, Dept. of Physics, NIT Durgapur. He has served as Prof-in-charge of the Computer Centre, NIT Durgapur during 2009-2013. To date, his group has published several interesting research results including first observation of four-photon absorption in ZnS, three-photon induced four-photon absorption in ZnO, giant two-photon absorption in 2D hBN nanosheets, demonstration of green syntheses technique for the synthesis of carbon quantum dots (CQD), carbon nanorice (CNR) structure, first observation of optical limiting effect in GO-ZnS/ZnO nanocomposites, Continuous wave Random Lasing in naturally occurring biocompatible pigments etc.He has published more than 114 research papers in referred international journals including some in very high impact journals (such as Nanoscale, Advanced Optical Materials, Appl. Phys. Lett., Optics Lett. etc.) and more than 61 research papers in National/International Seminar/Conferences as author/coauthor. Presently the number of citations of his published papers is more than 1541 with an h-index of 22 (as per scholar Google). Dr Kumbhakar has presented several Invited Talks in different National/International Seminar/Conferences in India as well as in abroad. He has received several awards for his presentations of research papers in different National/International conferences including the best scientist award received in ICOP-2009, Chandigarh, India. Recently, in 2016 West Bengal Academy of Science and Technology (WAST) has been elected as Fellow of WAST (FAScT) and in 2015 he has been awarded with Indian Association of Physics Teachers-Dinanbandhu Sahu Memorial (IAPT-DSM) Award by IAPT for his significant contribution in popularizing UG Physics Education. 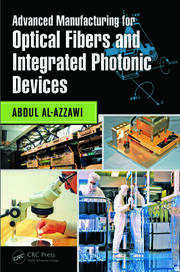 He has also written two books also he has contributed several book chapters in different edited books covering the research areas of Photonics, Nanosciences and Nanotechnology. He has developed two e-learning pedagogy courses in the area of Optoelectronics under NMEICT project of MHRD, Govt. of India. He has so far guided nine numbers of Ph.D theses and 30 numbers of M.Sc (Phy) and M. Tech (Material Science) theses. He has visited different Institutes in abroad, such as University of Electro-communications, Japan; CERN, Geneva, Switzerland; CIOMP, China; Leibnitz Institute, Germany; NUS, Singapore; Hong Kong; NCTU, Taiwan; etc., during 2007-2017 as visiting scientists/researchers (short-term)/for presenting research papers/delivering invited talks etc. He is Reviewers of many reputed International Journals, such as Advanced Optical Materials (Wiley), RSC-Advances (Royal Soc. of Chem), JACS (ACS), Appl. Phys. Lett. (AIP), Opt. Letters, J. of Appl. Phys, JOSA B, Optics Express, J. of Alloys and Compounds, Spectrochemica Acta-Part A & B, J. Non Crystalline Solids, Appl. Phys. B:Laser Optics, J. Materials Science, IEEE Sensors etc. He has served as Member of Board of Editors of Three International Journals. Also he is a Lead Guest Editor for a Spl. issue of Jounal of Nanomaterials. Also he is member of different academic societies including Optical Society of America (OSA), IAPT, Optical Society of India (OSI), Indian Physical Society (IPS), Electron Microscopy Society of India (EMSI), Indian Laser Association (ILA), Laser Spectroscopy Society of India (EC member of LASSI) etc. His biography has been published by Marquis Who’s Who in the World, USA and also by International Biographical Society, (IBS) England. His present research areas of interests are Nanophotonics, Ultrafast Phenomena, Nonlinear Optics, 2D Materials, Random Lasing, Nano Gas Sensors etc..
Dr. Mrinal Kanti Mandal received the B.Sc. degree in Physics (Hons.) from Burdwan University, India in 1998, and the M.Sc. and Ph.D. degrees from the same University in 2000 and 2008 respectively. Since 2003 he has been with the Department of Physics, National Institute of Technology, Durgapur as an Assistant Professor. He has fifteen years teaching experience in different subjects like optics, fiber optics and communication, physics of semiconductor devices, electronic circuits and systems, etc. He has published more than 40 National and international journal papers and 21 conference papers in proceeding. His research interests include Design of Electronic Circuits & Systems, Nonlinear Dynamics & Chaos, Cryptography and Image Processing. He is a reviewer of Nonlinear Dynamics, Security and Communication Networks, International Journal of Electronics, Indian Journal of Pure and Applied Physics, Indian Journal of Physics, etc. He is a member of IEEE and life member of IETE, IPS and IAPT. He was published his bio-data in the science and Technology chapter of "Marquis Who’s Who" in 2010 edition.